Personality: Cologne is typically friendly, amusing, and funny, unless someone insults her (such as calling her an old dried-up monkey). She cares deeply for her great-great granddaughter and wants what is best for her. In Cologne's oppinion, that would include Shampoo marrying Ranma. Fist of the Ice Bear: It consists of Cologne standing atop a life-size ice sculpture of a polar bear and launching it (as well as a number of other ice-boulders) at the enemy with a wave of her staff. Water-sprout: By whirling her staff in the climactic battle for the Phoenix Pill, Cologne created a gigantic revolving water-sprout that carried her and female Ranma into the air. In the anime version, it was a vortex of air, with Ranma being swirled around helplessly while Cologne remained perfectly stationary in the center. Ranma overcame the latter pseudo-technique by distracting her, causing it whirlwind to dissipate. Splitting Cat Hairs: Cologne creates 14 separate afterimages that spin around her opponent at varying speeds while hitting the opponent with her staff. Conquerable if the user is hungry and the opponent is holding food because the real one will eat. Ki-projection: Cologne once attempted to hit Happosai with a small ki-blast, after the latter claimed that she gave him a stolen heirloom as a token of affection, although he effortlessly avoided it. Flying Dragon Ascension Blast (Hiryū Shoten Ha): Creates a whirlwind using an opponent’s hot, angry battle aura against the cold, indifferent battle aura of the person using this technique, when moving in a spiral motion. Breaking Point (Bakusai Tenketsu): Cologne taught Ryoga Hibiki this move. It causes any inanimate object to shatter with a mere touch and, more importantly, exponentially enhances the trainee’s durability. Chestnuts Roasting On An Open Fire (Kachu Tenshin Amaguriken): Simply a speed training exercise, rather than an actual technique. Movements so swift that the practitioner can grab chestnuts roasting on an open fire without getting burned, or throw several hundred punches so swiftly that it looks like a single strike. Full-Body Cat Tongue: A pressure point attack that makes the target unable to bear even remotely warm temperatures without being feeling badly burned. 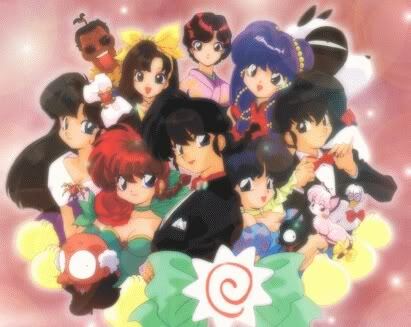 In Ranma's case, it prevented him from turning back into a male. It can be cured by the Phoenix Pill, which she apparently also created. History (4 lines): Although not much is known about her early life, there are several imporant details that are known, particularity pertaining to Happosai. When he was 18 years old, Happosai made advances towards the young Cologne, who seemed about the same age, but she rejected the angered dwarf by unleashing the Hiryu Shoten Ha. After attempting to come on to every other young woman in the Amazon village, but being constantly turned down, he took revenge by stealing all their valuables. This included a bracelet belonging to Cologne, which contained three magic love-inducing pills, though he claimed that it was a memento of affection from his first love. Afterward, she proved herself to be quite talented and possibly became a leader (or the leader) of the powerful Chinese Joketsuzoku tribe. After Shampoo returned from Japan in defeat, she decided to re-train Shampoo and so restore the honor to their tribe. Unfortunately, the chosen training sight was Jusenkyo, and Shampoo accidentally fell into the Spring of Drowned Cat. She followed her great-great granddaughter back to Japan and set up the Cat Cafe in order to accommodate them both during their extended stay. Ever since then, she has attempted to force/trick/manipulate Ranma into accepting his duty to marry Shampoo on many occasions, perhaps the most notable being the Full-Body Cat Tongue incident. She still holds firm to her belief that Ranma will eventually be won over, and commonly calls him "Son-in-law" or "Future-Son-in-Law" as a result. (Although this is technically inaccurate). Additional Information: She is the grand master of the Chinese Amazon martial arts and likely knows many ancient martial techniques that have been passed down for thousands of years. In addition to the martial arts, Cologne is knowledgeable in several other disciplines such as arcane lore, cooking, Chinese mythology, and magic artifacts. It is likely that she trained generations of Chinese Amazon warriors before she trained Shampoo, making her at least partially responsible for the Chinese Amazon tribe being the powerful warrior tribe that they are today. Cologne is also capable of trickery in combat such as holding back her true martial arts abilities in order to lull her opponents into a false sense of confidence, which once worked on Ranma all too well. Overall, she is truly a force to be reckoned with. Good so far. The only thing really, is that the history is really does need to go to the additional info. Why don't you start when she met Happosai, and work from there? » Cologne falls to the Allies!